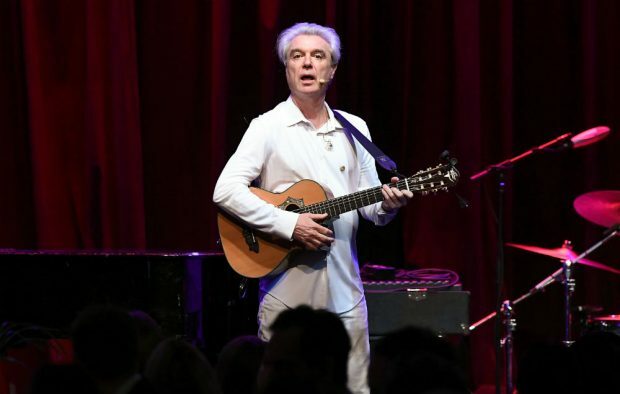 David Byrne has shared the official video for his track ‘Everybody’s Coming to My House’ – check out the heart-warming new clip below. The former Talking Heads musician released his first solo album for over 14 years last week with ‘American Utopia’, which ‘Everybody’s Coming to My House’ features on. See David Byrne’s video for ‘Everybody’s Coming to My House’ below. Last week, Byrne performed the track on The Late Show with Stephen Colbert. During the rendition of the song, Byrne was joined by a variety of musicians and dancers who were barefoot and all dressed in matching grey suits – before Colbert himself then joined in.